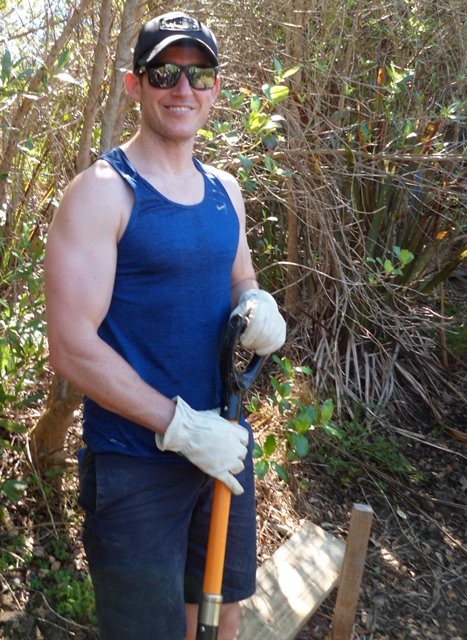 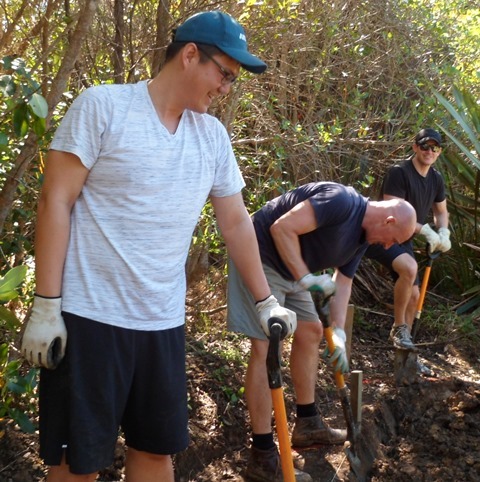 ANZ, one of New Zealand’s largest banks, also have a strong commitment to community service. 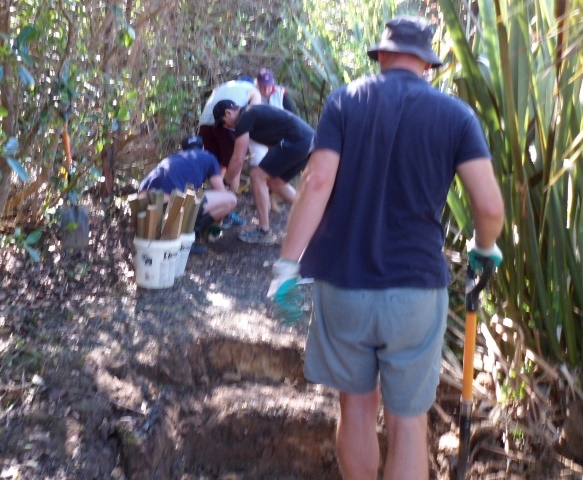 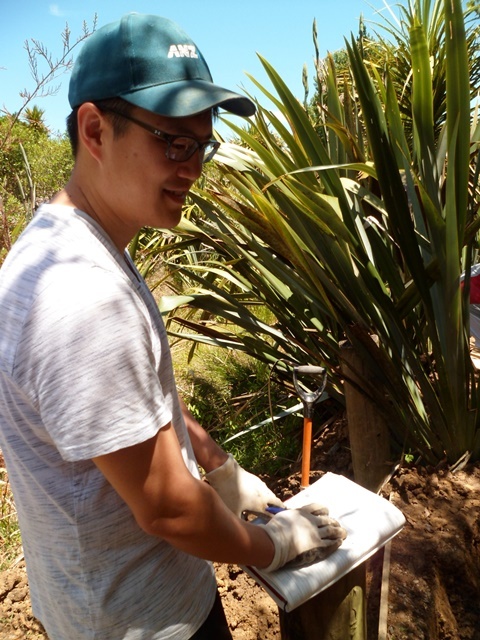 Since 2013, groups of ANZ professionals have been coming to CUE Haven to plant and help with maintenance work, and today a group of 7 executives from the Auckland CBD – Commercial and Agri Business group spent the day helping us with walking track work. 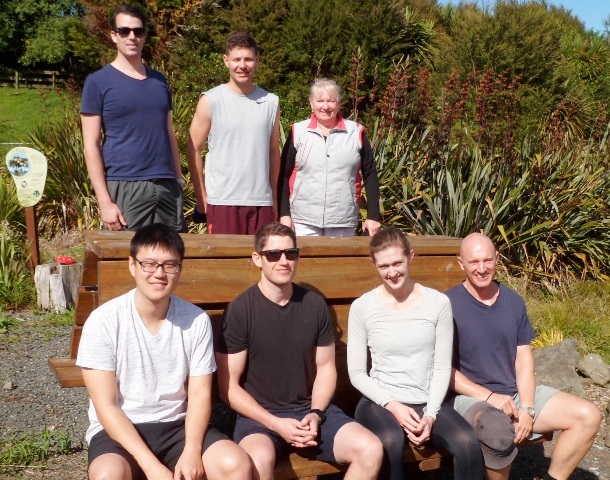 It was great to see old friends Fiona, Logan and Phil and welcome new volunteers Hamish, Jono, Sean and Sophie. 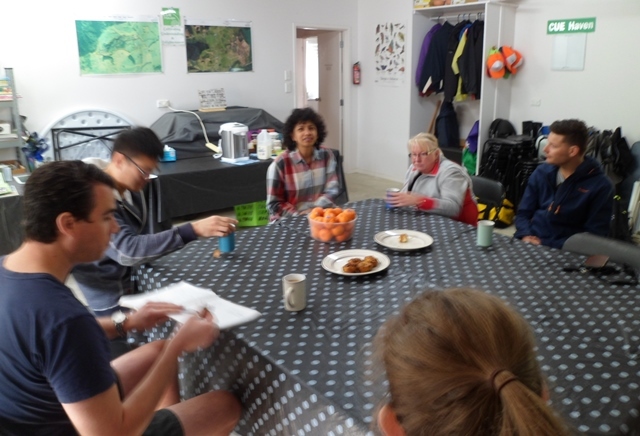 Over morning tea, Mahrukh gave a quick overview of the CUE Haven project for the benefit of those new to CUE Haven and an update on the latest news for the veterans. 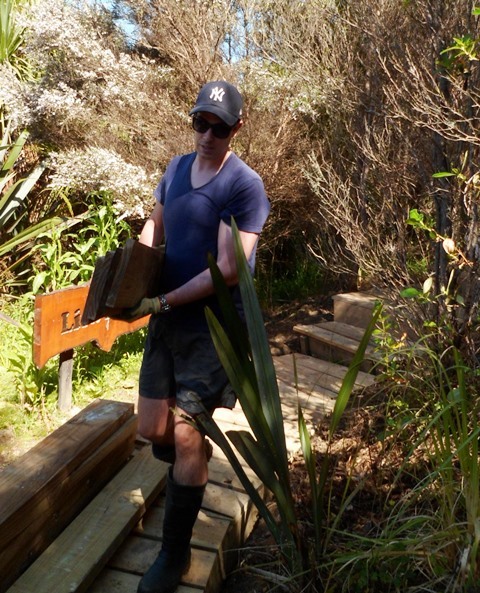 The task for the day was to carry on building a board walk in the wetlands. 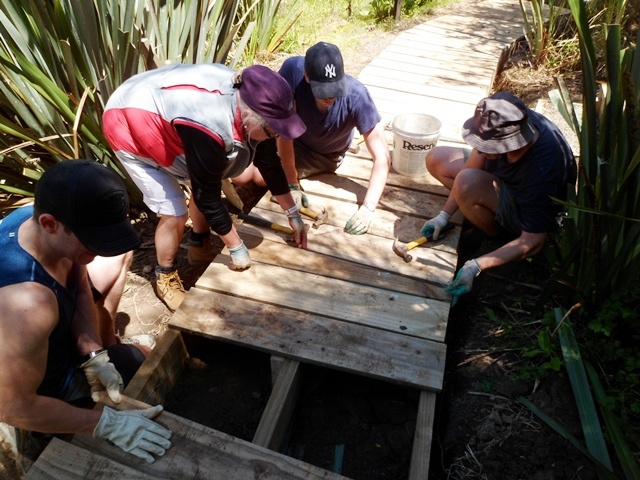 A previous group of volunteers had made a good start on the boardwalk but there was still a long section to complete and link up to the existing boardwalk. 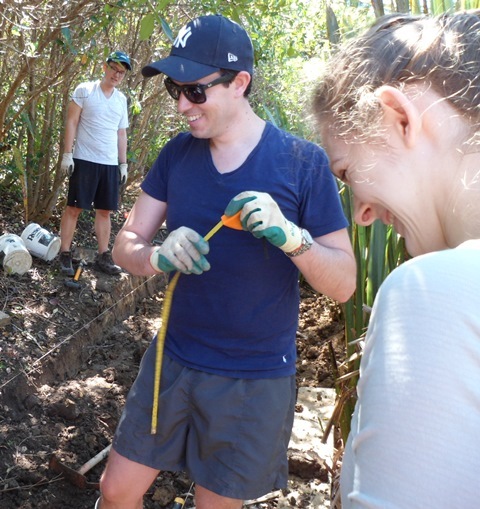 The team spent time up front studying the alternative approaches to the job. 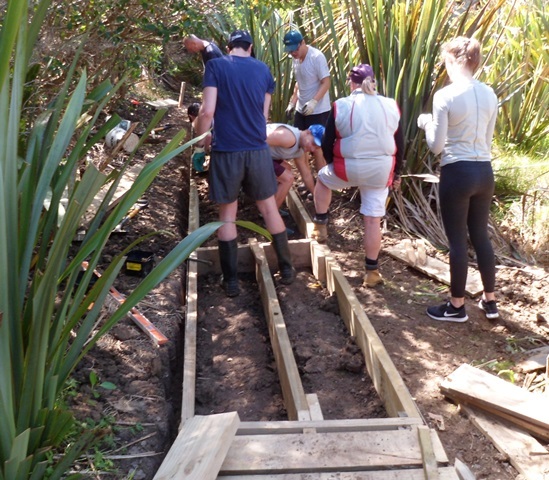 There were some steps in the original track and they had to decide whether to incorporate the steps into the new boardwalk or dig out enough dirt to make the walk level. 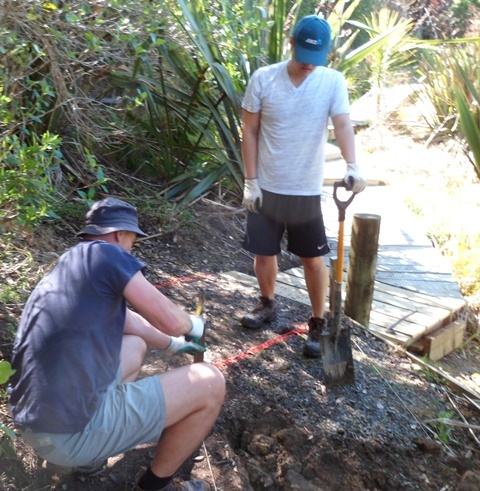 The team decided that digging to create a level boardwalk was the best solution and went to work. 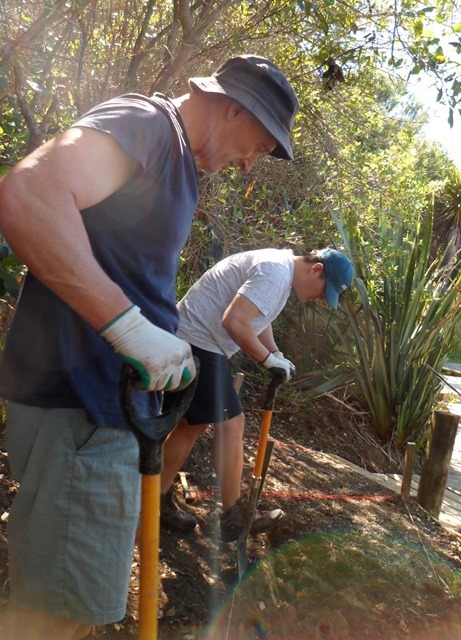 It didn’t take long for the diggers to totally transform the area. 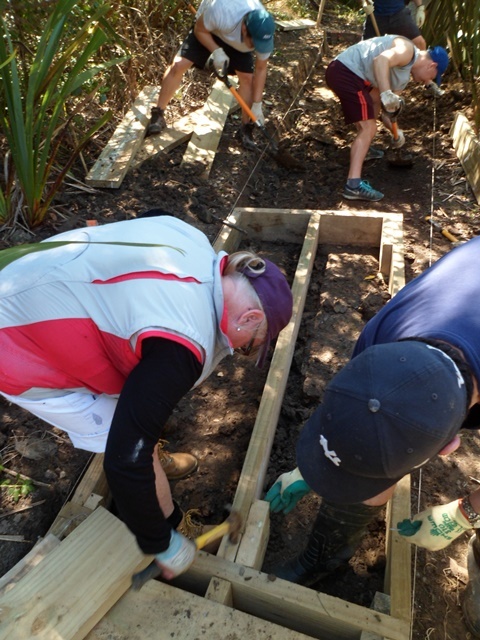 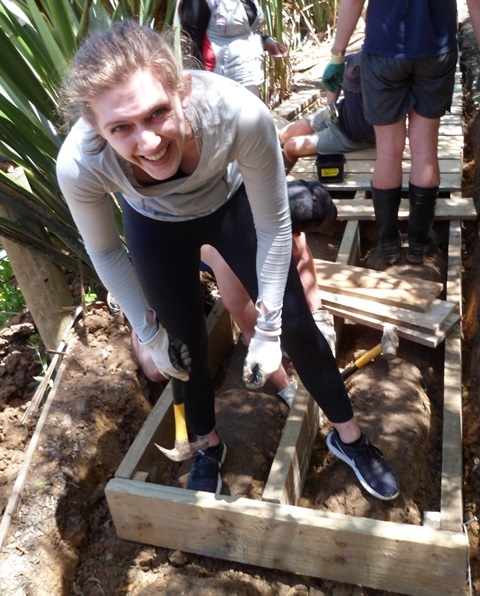 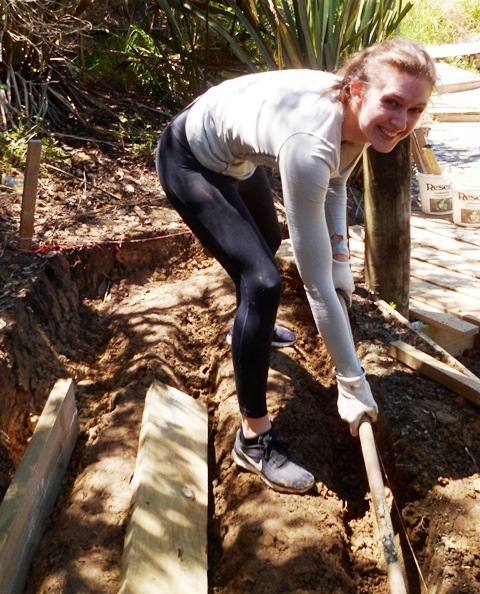 While the digging group worked away, the rest of the team worked on building the framing boxes that form the foundation of the boardwalk. 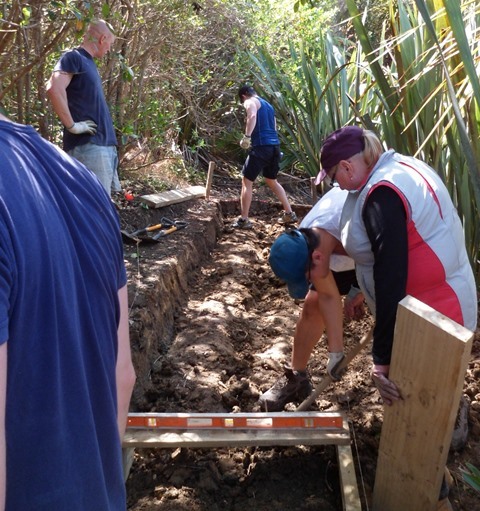 The job required a lot of planning measuring, digging and nailing. 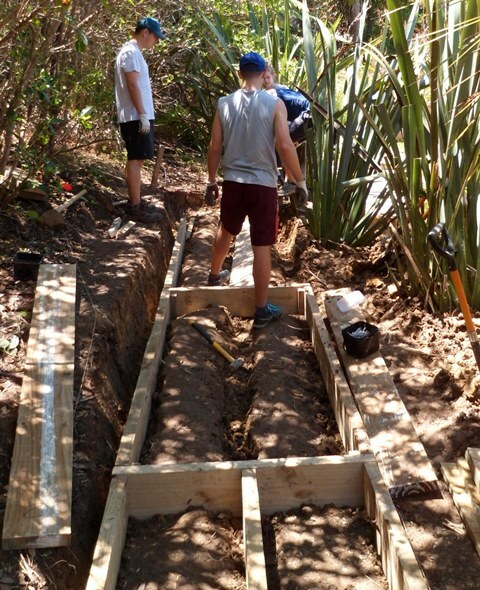 And the work required regular checking to make sure everything was square and level. 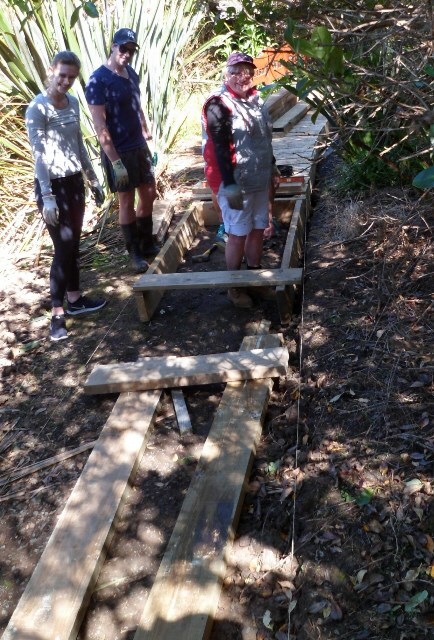 Once the frames were in place and the line of the boardwalk had been determined, we could figure out how many top boards we’d need. 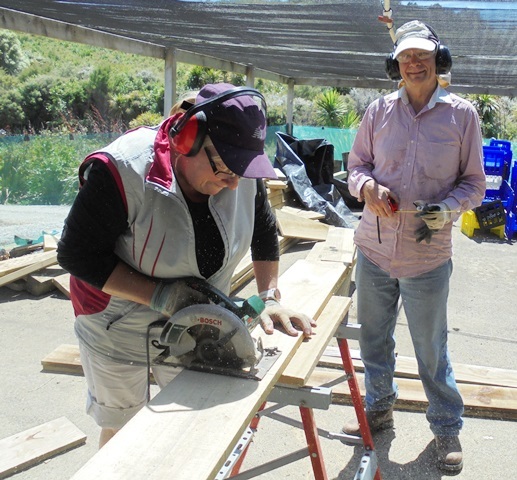 Fiona helped Thomas cut the boards to size. 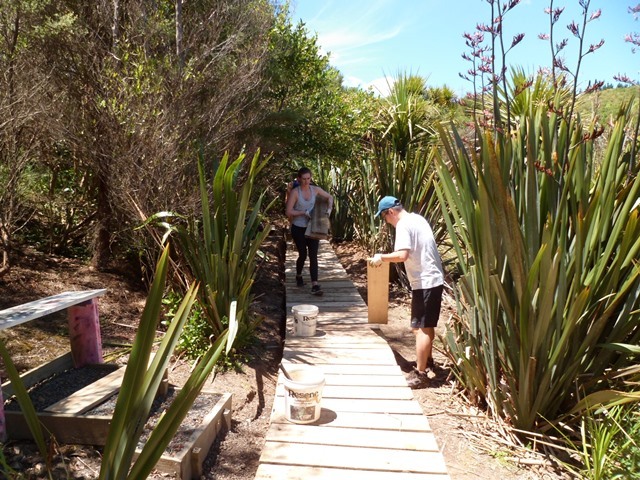 We then brought the timber down to the site and went to work finishing off the boardwalk. 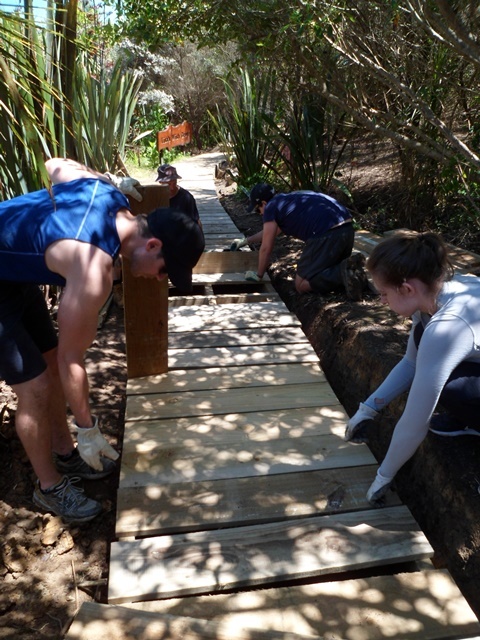 The ANZ team did a great job on the boardwalk and they should be very proud of the results! 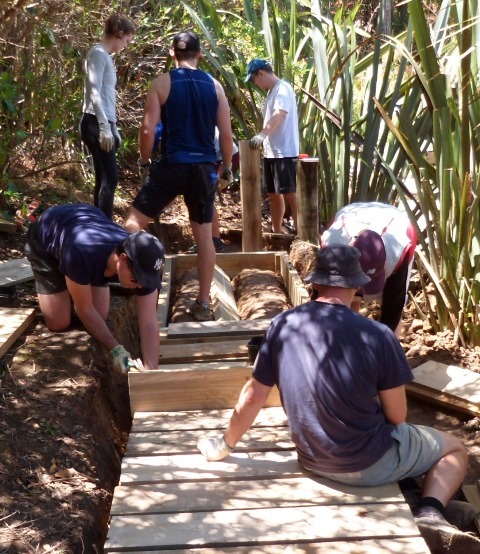 Future volunteer teams will finish off the boardwalk and the excellent work the ANZ group did will serve as a good guide. 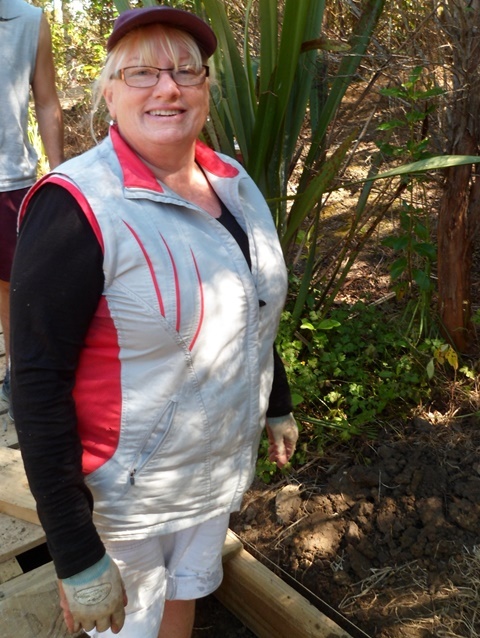 We then packed up all the gear and went back to the cottage for a relaxing lunch. 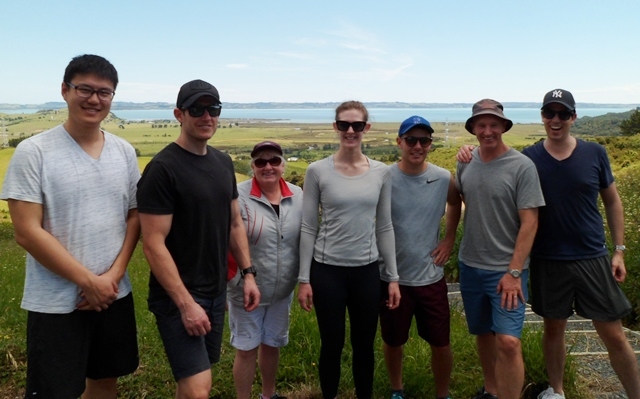 After lunch, we took the team for a tour of the property and a leisurely walk down the walking track. 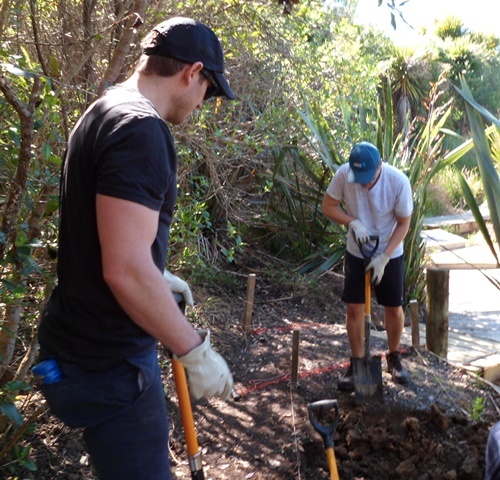 It was a very productive day. 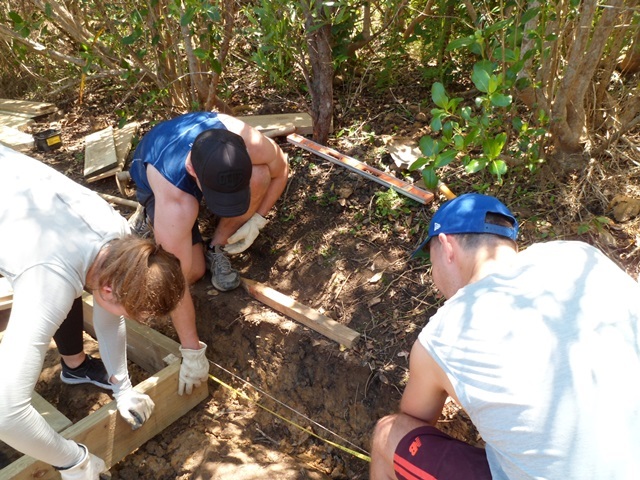 The team developed creative solutions and worked hard and the results are amazing. 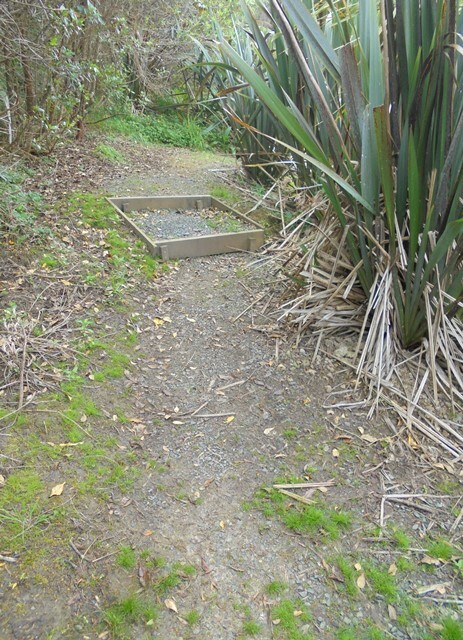 The improvements will enable visitors to explore and enjoy the wetlands safely and comfortably. 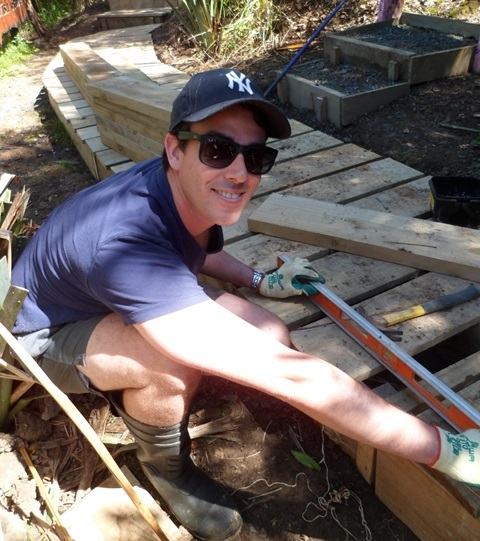 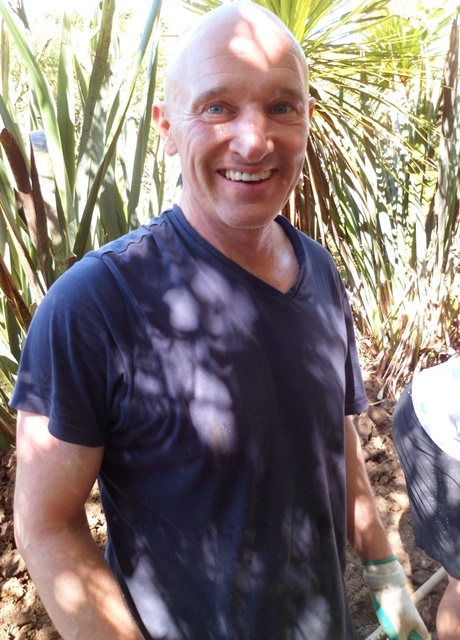 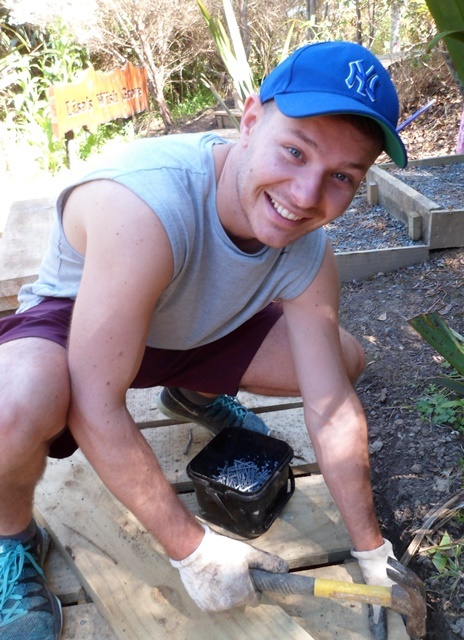 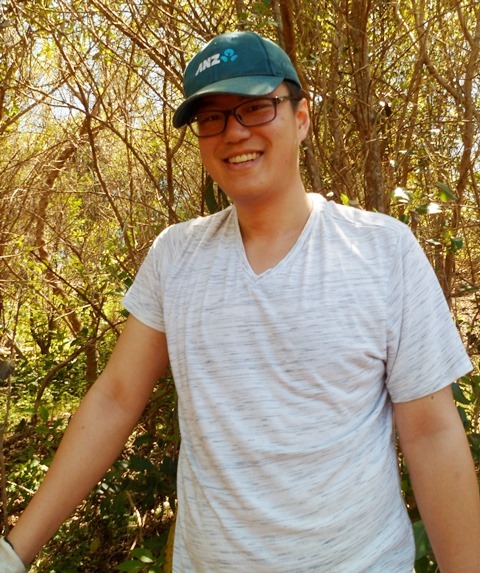 A big thank you to Logan for organising the volunteer day and for continuing to champion CUE Haven at ANZ. 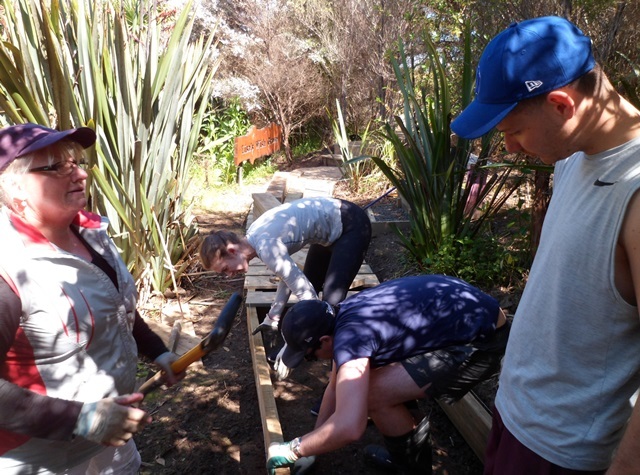 And many many thanks to everyone in the hard working team for your efforts and enjoyable company. 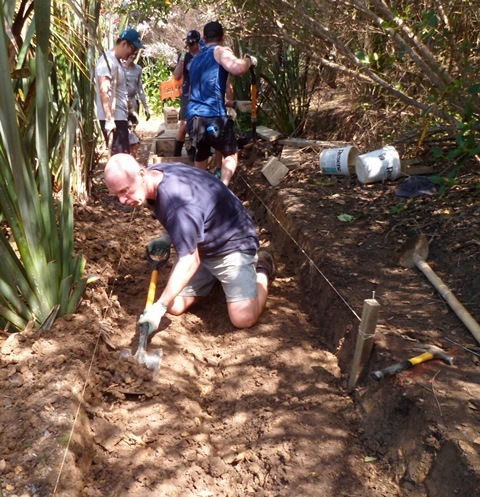 We know the work was challenging and we really appreciate your dedication and enthusiasm. 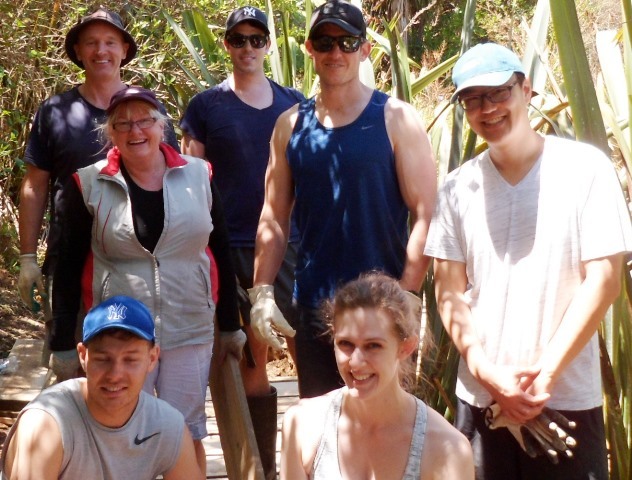 We look forward to having you back for another fun and productive day next year. 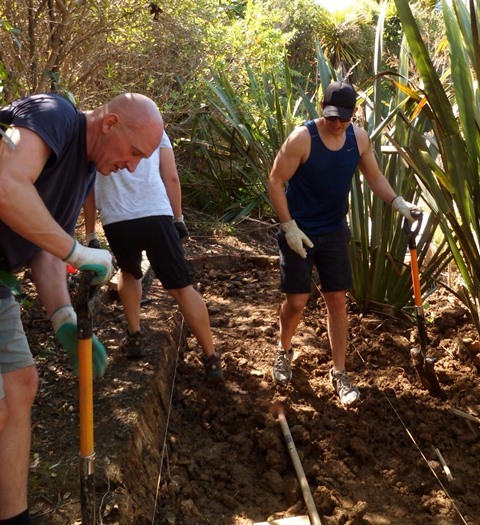 But we hope before then you will come back with your families this summer for a relaxing visit and to explore more of the property.